When it comes to the One series of smartphones, HTC is hoping to follow Google’s playbook for its flagship devices. HTC wants One to be synonymous with Google’s Nexus, which represents the latest and greatest that Android has to offer. Similarly, the One is supposed to be HTC’s best combination of design, music capabilities, and camera technology. 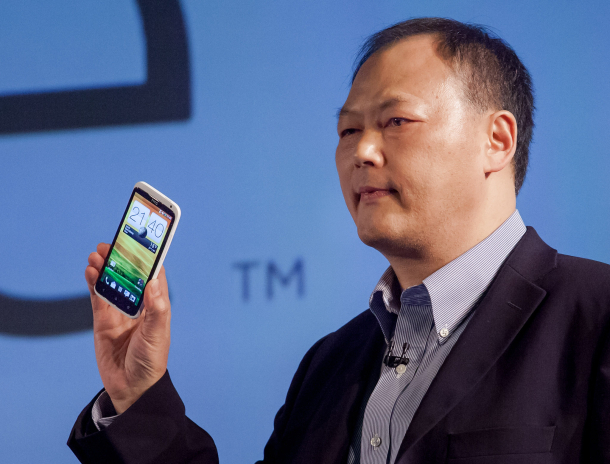 HTC’s One series of phones will play a crucial role in the company’s resurgence. HTC stumbled at the end of last year amid falling sales and profits, with a glut of phones in the market that never really resonated with consumers. The One series represents a more concentrated effort to make fewer higher quality products, positioning them as flagship phones for its carrier customers. “You won’t see the craziness of last year,” Mackenzie said. Even in the U.S., where HTC and Sprint Nextel just unveiled the Evo 4G LTE, the One will play a big role. It’s Mackenzie who believes the comparisons to the Nexus series are apt. But perhaps the more appropriate parallel is to Samsung’s Galaxy S line of smartphones, which over the past two years have built up a reputation as the company’s flagship products.